Carmen S. Gicante Chair-Board of Directors, Windsor Essex Capital Angel Network (WECAN) wishes to advise that Colin McKillop will be leaving the position of Executive Director of the organization effective February 4, 2019. The Board of Directors (WECAN) will be working to seek out qualified applicants who are experienced in early-stage angel investment and have strong leadership, operational and stakeholder management skills to replace Colin. In the interim, Deborah Livneh, a member of the Board of Directors (WECAN) will be working with Colin during the next month to assist with a smooth transition and will continue to lead the transition until a new Executive Director is recruited. Deborah Livneh Eng. MBA is an investor and a past co-founder of a medical technology company. 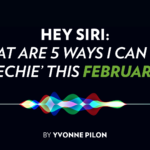 She is currently the Entrepreneur-In-Residence at WEtech-Alliance, helping early stage innovative companies. Deborah is also a sessional business professor at the University of Windsor. The Board of Directors (WECAN) wishes to thank Colin for his contributions to WECAN, entrepreneurs and the business community in Windsor – Essex over the past four years. Colin has been a strong advocate for the angel investment asset class not only in Windsor-Essex but also across Ontario, Canada and bordering US States. We wish him every success in his future endeavours. 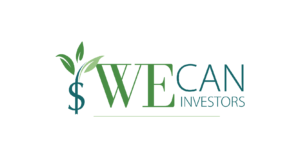 WECAN will continue to work with our member investors, exposing them to excellent investment opportunities and facilitating the investment process. We welcome new accredited investors in Windsor-Essex and Chatham-Kent to join our local angel investment network. For information please contact: info@weangelnetwork.com or Deborah Livneh, Eng. 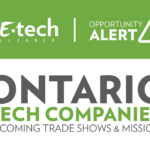 MBA Deborah.Livneh@weangelnetwork.com Windsor Essex Capital Angel Network (WECAN) is a members-only organization comprised of accredited investors seeking investment opportunities in promising, early-stage businesses.